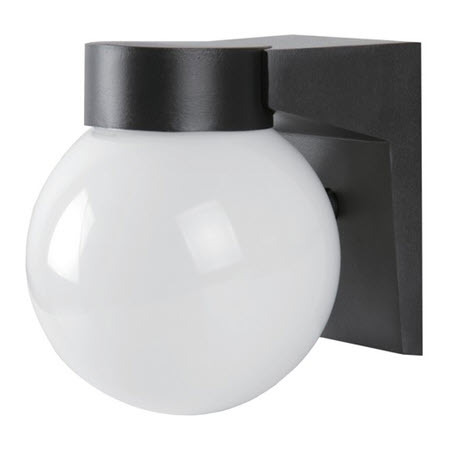 Morris LED globe entryway light fixture - 9 watt for many types of security and general lighting needs. An energy efficient fixture with an unbreakable polycarbonate lens. Many people like the instant-on capability of the LED lamps, and the heavy-duty construction for years of service. Replaces up to a 50-watt high-intensity discharge lamps like metal halide or high-pressure sodium. The polycarbonate lens protects the light and is unbreakable for security and public areas. - Replaces 50 watt HID.